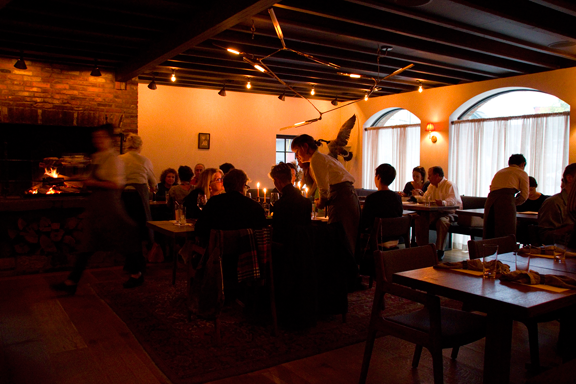 FISH & GAME is housed in a renovated 19th century blacksmith's shop, in the heart of New York's Hudson Valley. The restaurant is the collaborative venture of co-chefs Zakary Pelaccio (author of Eat With Your Hands), Jori Jayne Emde, and Kevin Pomplun, and their partner, Patrick Milling Smith. The restaurant celebrates the bounty of the Hudson Valley by offering an often changing menu based on the highest quality, freshest ingredients the Valley has to offer. The menu reflects our commitment to using only humanely raised and locally sourced products.